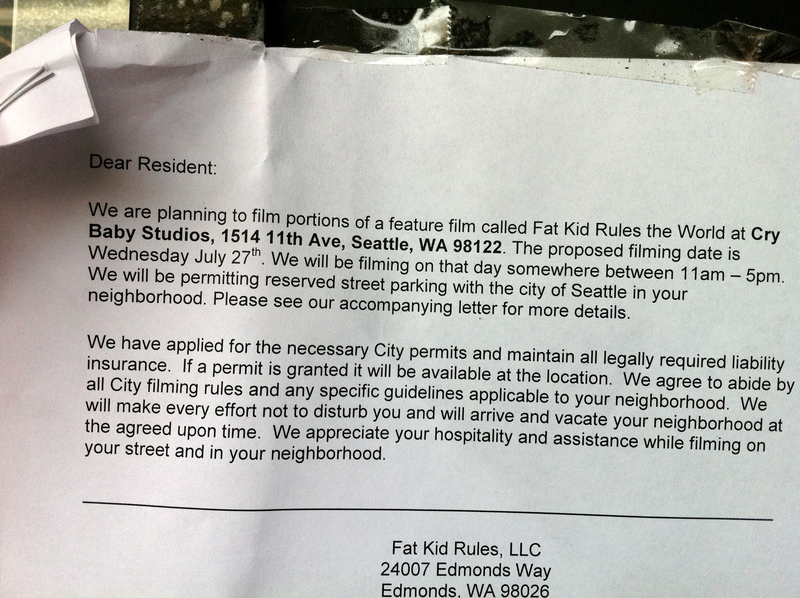 The cast and crew of a film based on the “young-adult novel” Fat Kid Rules the World will be hard at work at 11th Ave’s Cry Baby Studios most of the day Wednesday. 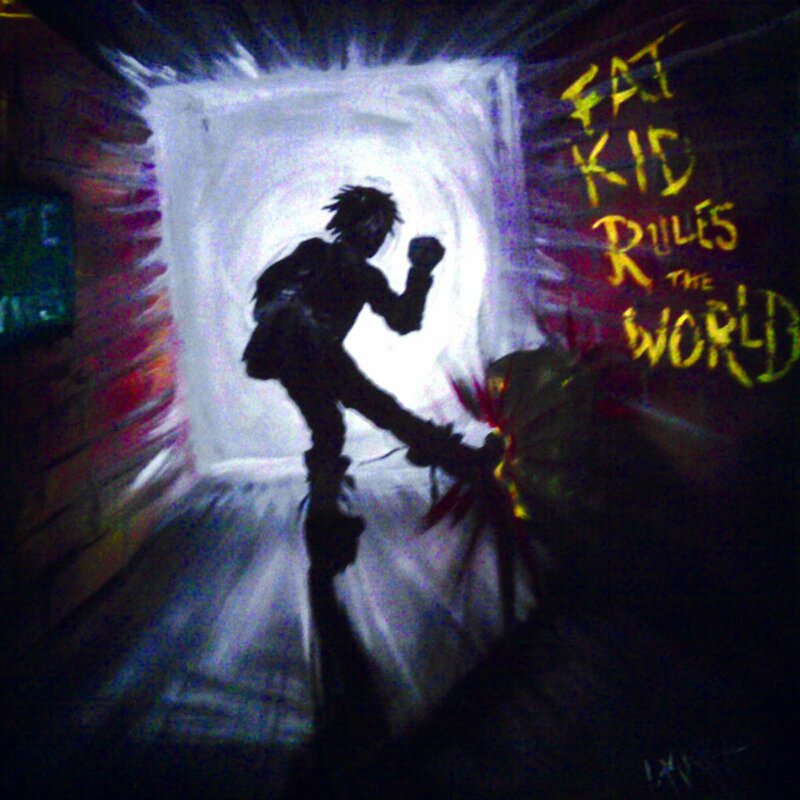 We’re told the sequence being shot will be a rehearsal scene in the story of a 295-pound teen who finds a new path thanks to a grunge-y guitarist and punk rock. Location manager Herman Esau says the film has been shooting in Seattle for a few weeks now and has already wrapped a long shoot at a First Hill apartment building and a few other Capitol Hill locations. Next stop, he says, is Ballard. The film is being produced by independent Whitewater Films and will be the directorial debut of actor Matthew Lillard. The start of AMC’s Seattle-based cop drama The Killing Billy Campbell recently joined the cast. Saw them at TT minor a few days ago. Was wondering what was being filmed. We need to loosen up the rules so we can get more of the movie industry work that is going to Vancouver. And get to be extras in lo-budget “young-adult novel” movies about rock music saving the world, which presumably involves the critical arrival of a perfect girlfriend for an awkward protagonist.